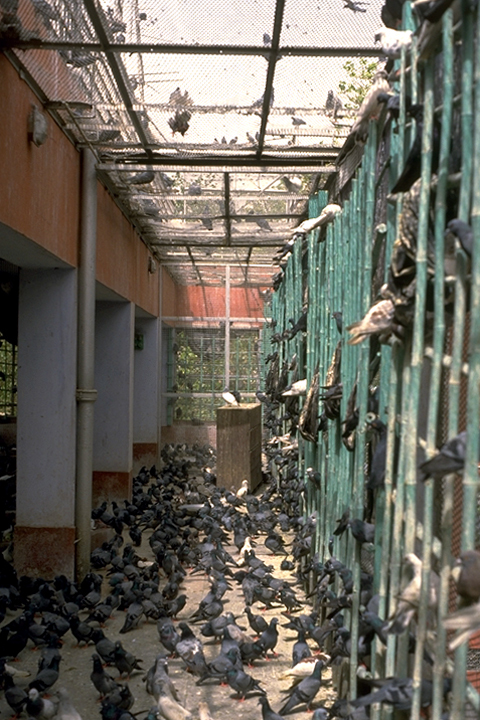 In the busiest part of the old city of Delhi, across a traffic-choked road from the Red Fort, is the Jain Bird Hospital. 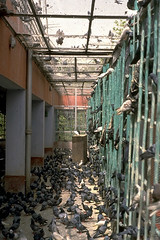 Pigeons, which are legion in that part of the city, are its primary patients, brought to the hospital with broken legs and wings. There are special wards for those needing intensive care, and ordinary, enclosed wards on the first and second floors. The third floor is open to the sky; when the birds have recovered, they fly away. The hospital is one expression of the Jain commitment to nonviolence as an ethical stance toward all life. The Jains also sponsor animal shelters and hospices for dying cattle. Of course, they build many hospitals for people as well. Today, the Jain tradition is followed by less than one percent of India’s 900 million people, but the Jains are an old and influential tradition and remain a distinctive presence in the fabric of Indian civilization. The Jain emphasis on nonviolence toward all life made a profound impression on Mohandas Gandhi, a Vaishnava Hindu who grew up in the western part of India in Gujarat, where there is a large Jain population and a significant heritage of interrelations between Jains and Hindus. Beyond India, the Jain community has increasingly developed a presence in other parts of the world. There are Jain businessmen in Kenya and Holland, Jain engineers and computer analysts in Houston and Cincinnati, and Jainism is today an American religion. Jainism as we know it dates back more than two thousand five hundred years to the life of its most recent spiritual pioneer, Mahavira. Jain history with its long lineage of teachers reaches much farther back, even beyond the beginning of recorded human history, but the Jain tradition received its present form, with monastic and lay communities, during Mahavira’s lifetime. Mahavira, like the enlightened ones before him, was given the honorific title of Jina, “victor,” one who has conquered ignorance, achieved spiritual victory, and realized the luminous, perfect soul. Those who follow the path of the Jinas are called Jains.